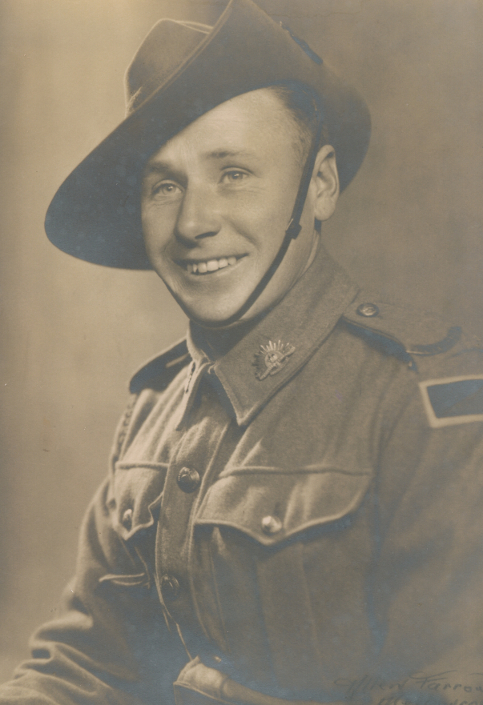 Bill Sheehan died of wounds in the Middle East on the 20th July 1942. Allan Guy and Bill Sheehan. Compare the orientation of the two colour patches. The unknown's colour patch is either sewn on incorrectly or of a different unit. Since the Unknown has been identified as Allan Guy this only leaves the possibility that the colour patch was sewn on incorrectly. 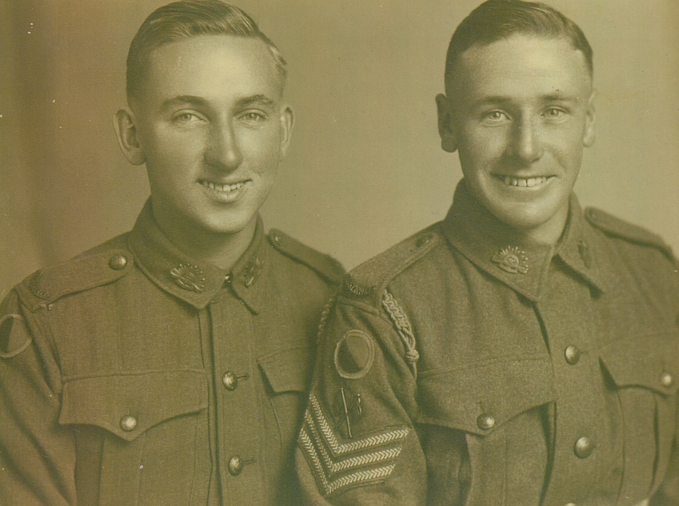 These two photos have been provided by Bill Sheehan's brother John in 2014. (The man on the left was Unknown. On 25 Apr 2014 veteran Geoff Bydder said the unknown was "definitely Allan Guy" and he was "100% sure". The identification was also confirmed by the daugher of Allan Guy).